According to Anasazi legend, Kokopelli was a little man who traveled from village to village with a flute and a sack of corn. At night he would play his flute among the fields, and the people would awake to find the crops taller than ever before. In the centuries that led to the year 1000, Europe was emerging from chaos. Tribes roamed the countryside evoking fear from luckless peasants. The grandeur that was Rome had long passed. Across the Atlantic, the North American continent was also inhabited by tribes. The Anasazi managed to build glorious cities in the cliffs of the modern Southwest. 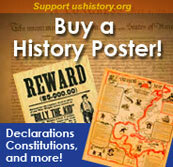 Their rise and fall mark one of the greatest stories of pre-Columbian American history. The Anasazi built their dwellings under overhanging cliffs to protect them from the elements. Using blocks of sandstone and a mud mortar, the tribe crafted some of the world's longest standing structures. 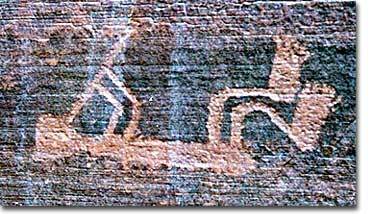 Anasazi means "ancient outsiders." Like many peoples during the agricultural era, the Anasazi employed a wide variety of means to grow high-yield crops in areas of low rainfall. Their baskets and pottery are highly admired by collectors and are still produced by their descendants for trade. It is their cliff dwellings, however, that captivate the modern archæologist, historian, and tourist. One component of the Anasazi community were the kivas. These structures were used for religious celebrations. This kiva is from the Sand Canyon Pueblo, Crow Canyon, in the Mesa Verde region and dates back to the 13th century. The famed cliff dwellings were built into the mountainsides with but one exit for the sake of defense. With the exception of hunting and growing food, all aspects of living could be performed within the dwelling. Deep pits were periodically dug within the living quarters. 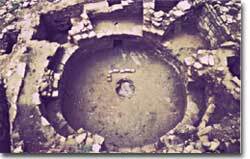 These pits, called kivas, served as religious temples for the ancient Anasazi. Sleeping areas were built into the sides of the cliffs. Even water could be gathered between the porous cracks in the walls — all by clever design, of course. Historians can only theorize why the Anasazi civilization declined. One explanation is attack by hostile tribes. Others believe the resources of the area were becoming exhausted. The durability of their structures has proven remarkable. Think of how our contemporary structures fall into utter disrepair without constant maintenance. The cliff dwellings have endured over eight hundred years of exposure to the elements and still stand proud. Modern day visitors can marvel at Anasazi accomplishments at Mesa Verde National Park or Canyon de Chelly National Park, to name a few. Grand sachem Henri Membertou was the first Catholic convert in Canada. But did he give up all of his native traditions — including having multiple wives? The Anasazi period actually covers nine different periods and spans over 8500 years. A timeline of the Anasazi, based on archaeological and other evidence, is available at this University of California, San Diego website. Anasazi did more than build magnificant dwellings, they also participated in trade and commerce. This independent website examines the commercial interests of the Anasazi who used turquoise, a beautiful green/blue stone, as currency and traded it to the Toltecs, hundreds of miles away.